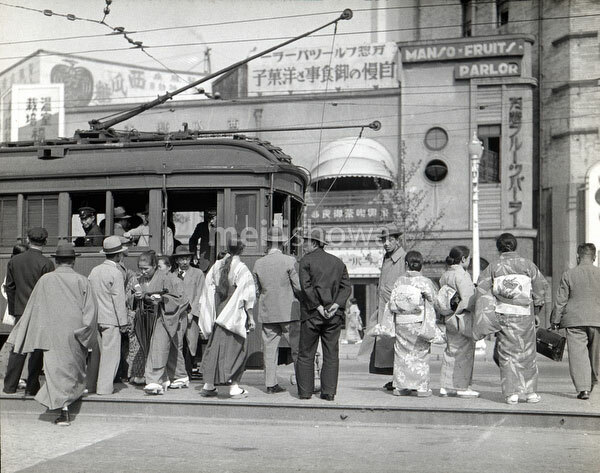 Passengers are getting off a streetcar at Sudacho (須田町), Tokyo in May 1934. In the back is Manso Fruits Parlor (万惣フルーツパーラー). Originally established in 1846 (Kouka 3), the company still exists today. See blog entry.